All design ideas from the EMRFD book. Thanks to W7ZOI, KK7B, W7PUA. And i'm blessed to get this book in India at a second hand book seller. I told him to reserve any radio related books, one fine eve he called me about this book. I also bought ARRL 2011 book. If i'm not using the design concept from this book, then its a shame on having the book. 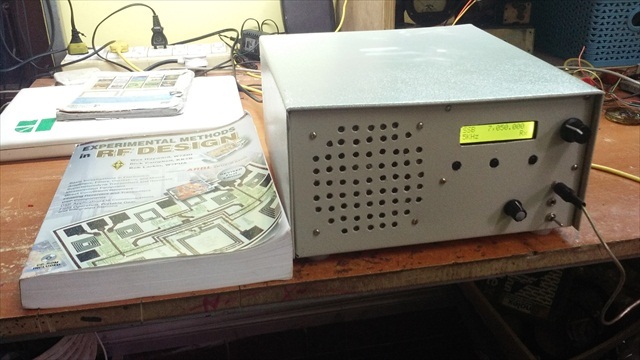 So, here is my QRP Project..
1st design requirement is, front facing 4" speaker. No compromise. I wanted this to be a self powered, no need to search for DC adapter. 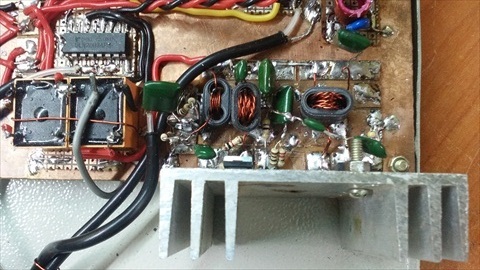 The transformer salvaged from old HI-FI cassette player. 15V 2A. 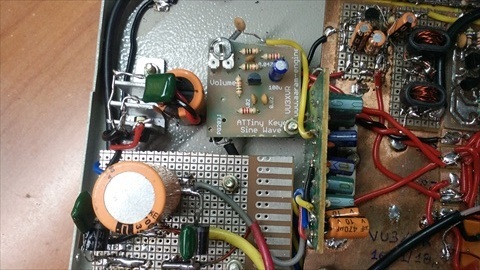 I used 12V regulated power supply for TIA chain. Rest using unregulated 17V. Transmitter stage. >> 2N2222 >> BD139 >> 2SC1971 >> 5th order LPF . 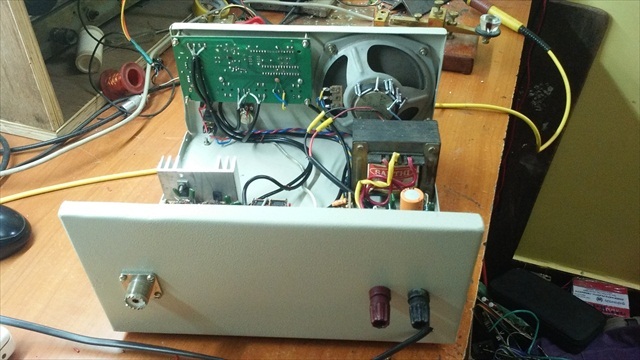 2SC1971 gives spurr free 5 watts clean output with 17V 2A. 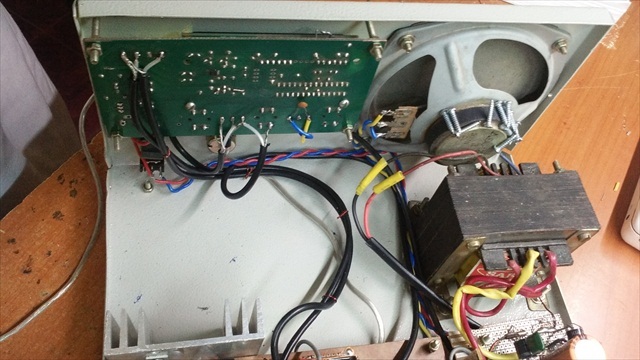 I connect SI5351 clock output directly to 2N2222. 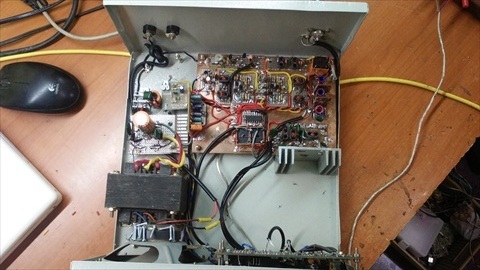 All are TV balun cores. Cause thats what i have. 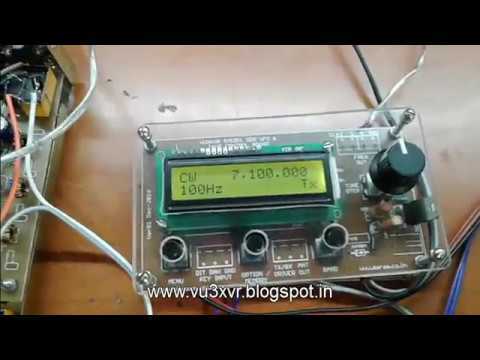 This is my own SI5351 clock generator board using ATMega8. ( I Hate arduino. ). I'm using C language in this project, but assembly version is in progress. 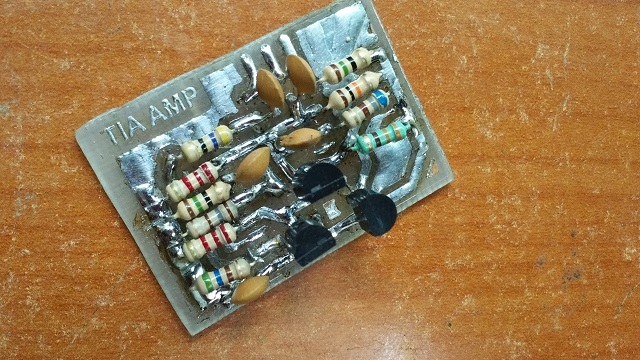 You can find details about this PCB on this blog, look for SI5351 DDS board.. The speaker is from old National Panasonic cassette player. Excellent audio quality. Initial layout. 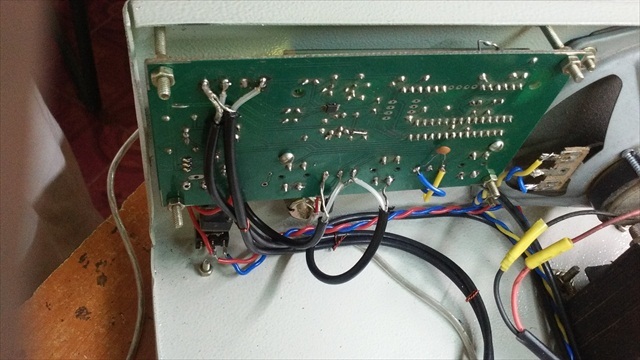 Modular PCB system makes very easy to assemble and troubleshoot. Very Nice build. Congratulations OM. 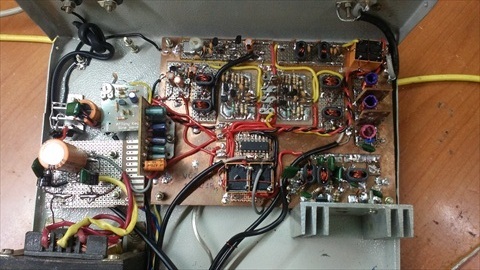 Add to your book list Solid State Design for the Radio Amateur by W7ZOI. Did you consider adding SSB capability to your rig? Thanks Pete. I'm searching for that book. This rig i stay with CW only. Not much interested on SSB anymore. Well done indeed! It's great to see how you have used locally available parts to make the rig. Now for SSB! Thanks Charlie. 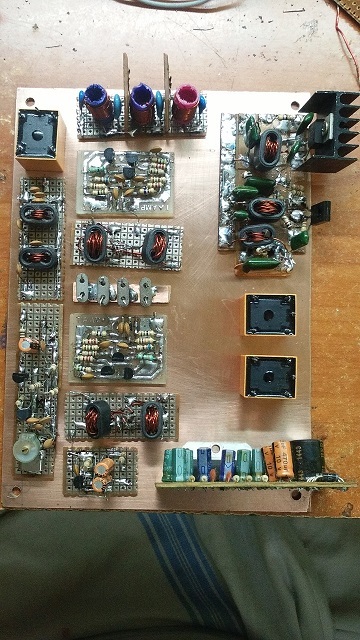 The modular PCB arrangements i inspired from your youtube videos. And ladder filter design i understood from your videos. Thanks a lot for your time and effort. For time being i'm not interested on SSB. 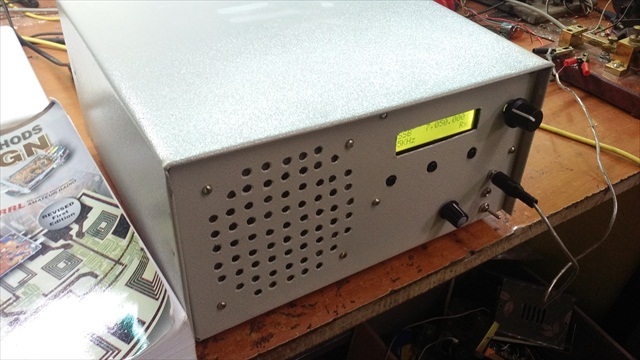 I'm working on another 2 band CW TCVR, with displayless DDS based rig. Just jobs to ears not to eyes ! 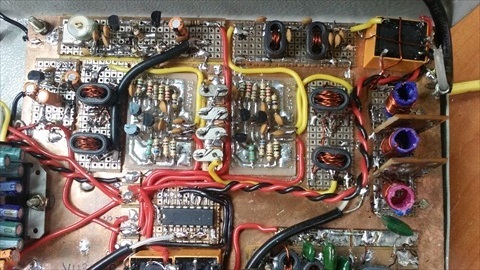 A fine build, using what was was on hand, and I like that you made your own MCU/si5351 and programmed it yourself, FB! Paul VK3HN.